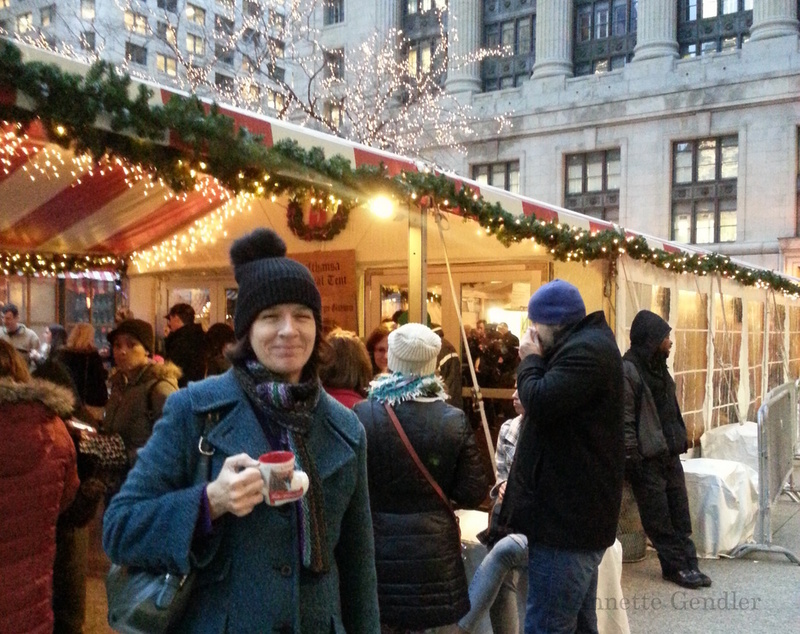 From my traditional annual visit to Chicago’s downtown Christkindlmarket, Merry Christmas to all who celebrate! It’s been unseasonably warm here, no snow flakes and icy cold to company my sipping of hot spiced wine. 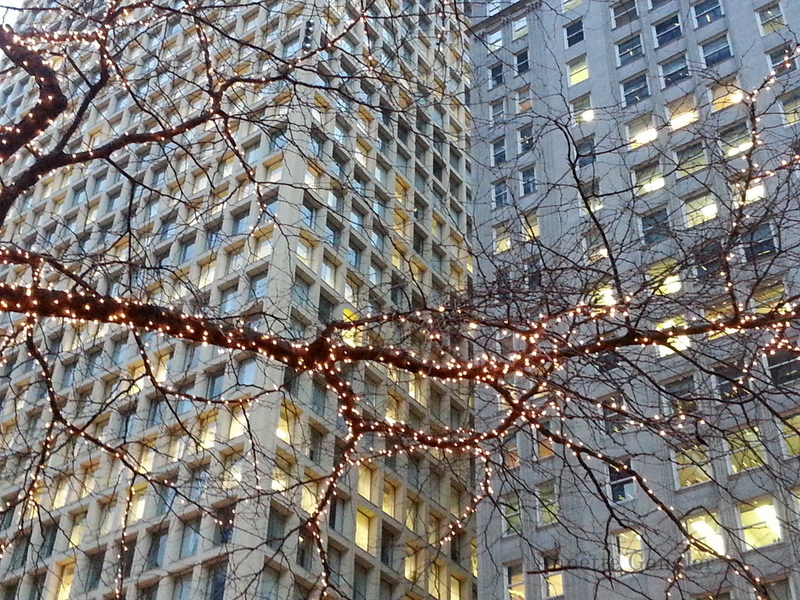 But the holiday lights in the blue of dusk always cast the city in the festive light, no matter what! The place looks busy! Merry Christmas. Happy Holidays, Annette! 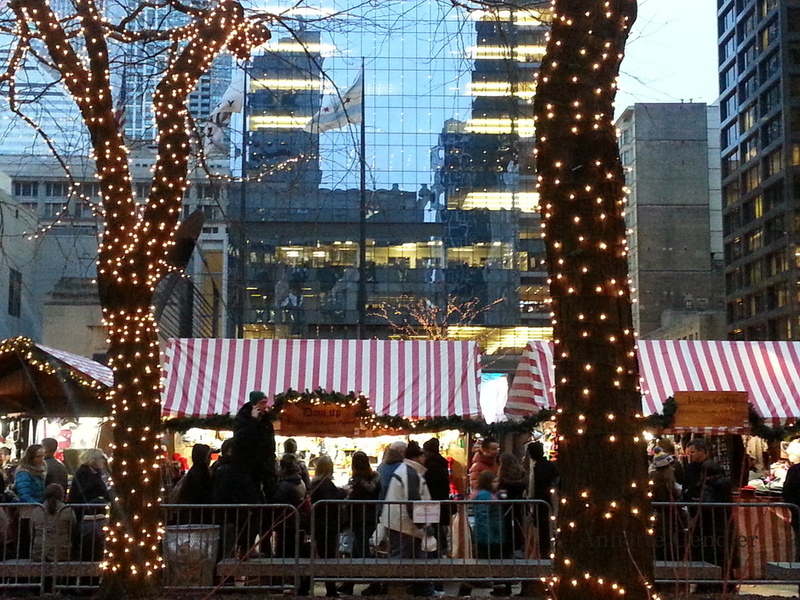 We hit the Christkindlmarket a few days ago. My mug collection is getting quite extensive. One of my favorite traditions. Tonight we're having a non-traditional Christmas dinner with neighbors — ordering Chinese food. We like to blend our holidays. Thanks! Glad to hear you have the same holiday tradition.